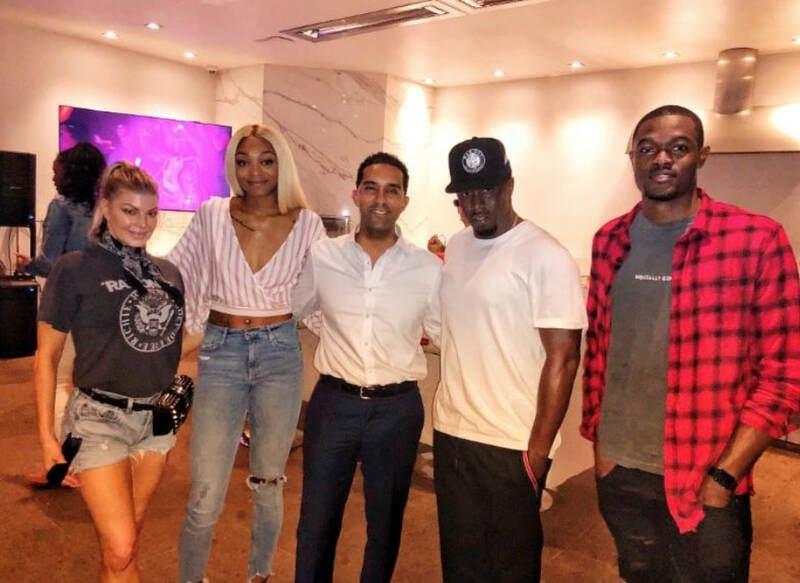 This past week, Mayor Richard Thomas met with entrepreneur and hip-hop legend Sean "Diddy" Combs to continue collaboration talks with the entertainment mogul to grow Mount Vernon's sports and entertainment economy. The mayor and Combs met in Los Angeles last week as a follow up to earlier meetings from the beginning of this year in Miami. Talks included restoring glory at Memorial Field, making it a premier east coast destination for Olympic athletes and local champions to train, compete and connect with the community. They also touched upon the need to revitalize the stadium (and surrounding area) to be a major player in the entertainment space, hosting the next generation of acts who aspire to reach the realm of the Jackson 5, James Brown, and Nina Simone, who each performed at the iconic park. Data shows that great parks are platforms for families to instill core values, build character, and offer life lessons through sportsmanship. Olympian Deajah Stevens and pro-track athlete Rai Benjamin who joined Mayor Thomas shared their stories of reaching their dreams and the role Mount Vernon played in creating their courage to succeed. Mayor Thomas said, "I thank Diddy for the invitation to join him at his home (again) for an important conversation on changing Mount Vernon for good. He and his children, who played Razorback football, have fond memories of Memorial Field and desire to see it come back life for the kids, seniors and families of our rising city. "Memorial Field is Mount Vernon's 'field of dreams' and it is deeply encouraging to know that one of the biggest entertainers on the planet, Diddy, is open to joining the team to reclaim Mount Vernon's destiny as "Money Earnin' Mount Vernon" in sports and entertainment. "This is one of many actions taken to create a better future for all of Mount Vernon. I look forward to recruiting more stakeholders to join the movement to make Mount Vernon magnificent again. I believe that we can bring back jobs and seize genuine opportunities for a better future if we dare to activate our real potential today. In the wise words of Diddy, the new Mount Vernon 'Can't Stop! And Won't Stop!' until we Reach the Top!" About Mount Vernon's Sports and Entertainment Economy: Travel, tourism and leisure is one of the world's fastest-growing economic sectors. Spending topped $1.6 trillion in 2017. Given Mount Vernon's location, un-paralleled transit capabilities, and history of giving rise to icons in sports and entertainment, the city is poised to shine again by capturing a significant market share in these sectors. According to a state-funded study, Mount Vernon has the conservative potential to activate an additional $208 million in economic growth. That would mean a minimum of $12 million in additional sales tax revenue for the city and roughly $25 million for the city's cash-strapped school district. Mayor Thomas believes Mount Vernon can seize its genuine opportunity to create sustainable, long-term jobs for the future. This is why Mayor Thomas has strategically prioritized reducing crime, cleaning up the city, and strengthening quality of life to provide residents with the value they deserve. Adding hometown heroes and legends, like Sean "Diddy" Combs, to the conversation affirms that it is safe to re-engage and re-commit to investing in proven plans to grow Mount Vernon's economy for the future. Mayor Thomas meets with Sean "Diddy" Combs and singer Fergie regarding Memorial Field and the work to reopen this beloved park. Joining the mayor on this economic development initiative are Olympic athlete Deajah Stevens and two-time college record holder in track Rai Benjamin. Stevens and Benjamin both began their athletic careers at Memorial Field and are part of the team to #FreeMemorialField and return it to public use.